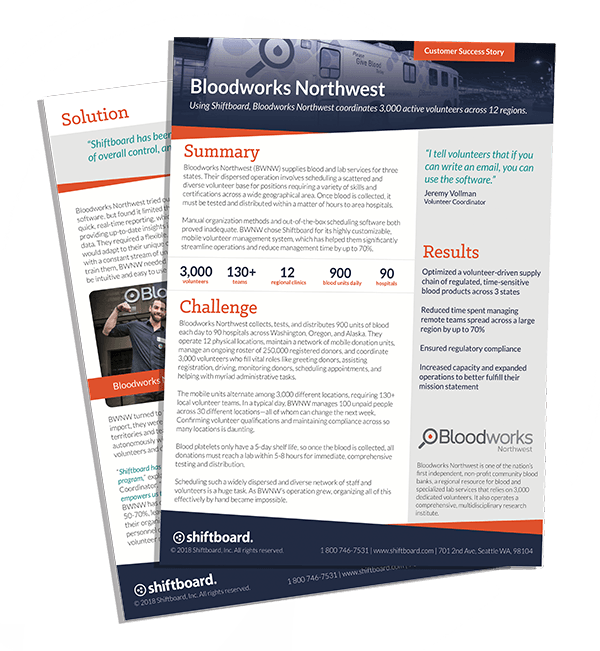 Bloodworks Northwest (BWNW) supplies blood and lab services for three states. Their dispersed operation involves scheduling a scattered and diverse volunteer base for positions requiring a variety of skills and certifications across a wide geographical area. Using Shiftboard, BWNW is able to coordinate 3,000 active volunteers across 12 regions.